After Passing section A examination of Institution of engineers (India ) T or ST member of IE(I) can appear for GATE ( Graduate Aptitude Test in Engineering ) which is conducted by IIT and Indian Institute of Science Bangalore every yearin the month of February. A Good GATE score opens door to higher education a with scholarship and stipend from Ministry of Human Resource and Development. A GATE qualified candidates ( In Engineering subject will also be eligible for the award of Junior research fellowship in CSIR ( Council for Scientific and Industrial Research) laboratories. Obtained a bachelor’s degree in Engineering from a Government recognised University( final year students may also apply); or Candidates with professional qualification like AMIE/AMIETE and those who have completed Section A or equivalent of such professional degree courses. After having a valid GATE score, an AMIE/AMIETE should apply for admission to postgraduate programmes in individual institutions, at appropriate time. Admissions of candidates to postgraduate programmes will be governed by the rules and regulations of individual institutions to which they apply. 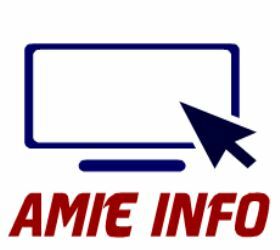 An AMIE/AMIETE should also be equipped with migration certificate which can be obtained from the last institution( polytechnic for example) attended by you as a regular student. If your Gate score in Computer Science is 96 percentile or more then you can try for IITs, if between 85 - 96 percentile, then apply for top RECs, JADAVPUR, SHIBPUR, ROORKEE, etc. If less than 85, you have to look for appropriate institutes; YES we want you to get 85 and above only! !